Minnesota community joins hands to boost kindergarten readiness by strengthening children’s social, emotional skills. Nancy Prahl loves her job, but she says September and October can be a tough time of year. “It’s truly hard and exhausting,” the kindergarten teacher said of acclimating the 24 or so young children in her classroom to the rules and routines of life in school. In the last few years, however, the challenges facing Prahl and other kindergarten teachers every fall in Red Wing, Minnesota, have become a little easier to bear. The reason? A communitywide effort to make sure more children enter kindergarten with the social and emotional competencies that make them more ready to learn. Among the results of this work is a significant jump in measured levels of kindergarten readiness for students of color, from 48 percent in 2014 to 87 percent in 2016. Red Wing is a small community of less than 16,500 people about an hour’s drive southeast from Minneapolis-St. Paul on the Upper Mississippi. The city is home to Every Hand Joined, a collaborative of businesses, nonprofits, schools, government, parents and others who coalesced in 2012 to tackle a pressing problem facing large and small communities alike: too many young people in Red Wing were leaving high school unprepared for college and 21st-century jobs. As the partners dissected the problem, one potential solution stood out: improving readiness for kindergarten. Statistically, students who are not ready for kindergarten start off as many as two years behind peers who have benefited from high-quality early learning opportunities. It’s a yawning gap that follows many students all the way to high school and beyond. In Red Wing, between 185 and 200 children enter kindergarten every year. Jeremy Sorenson, principal at Red Wing’s Sunnyside Elementary School, said only about half of those children attend the district-run preschool, which offers two-, three- and five-day programs for children between the ages of 3 and 5. The rest are in private preschools, at home or in other child care settings. Without any coordination or alignment across the community’s early care providers, Sorenson said it’s hard to ensure that kids are entering kindergarten with a basic set of school-ready skills. 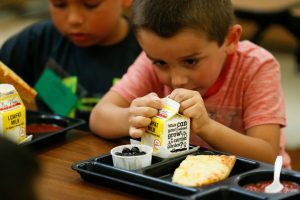 “We just don’t have access to a lot of these children until they come in on that first day of kindergarten,” Sorenson said. The Early Childhood Network started its work by using a tool developed by UC Santa Barbara professors to gauge kindergarten readiness. 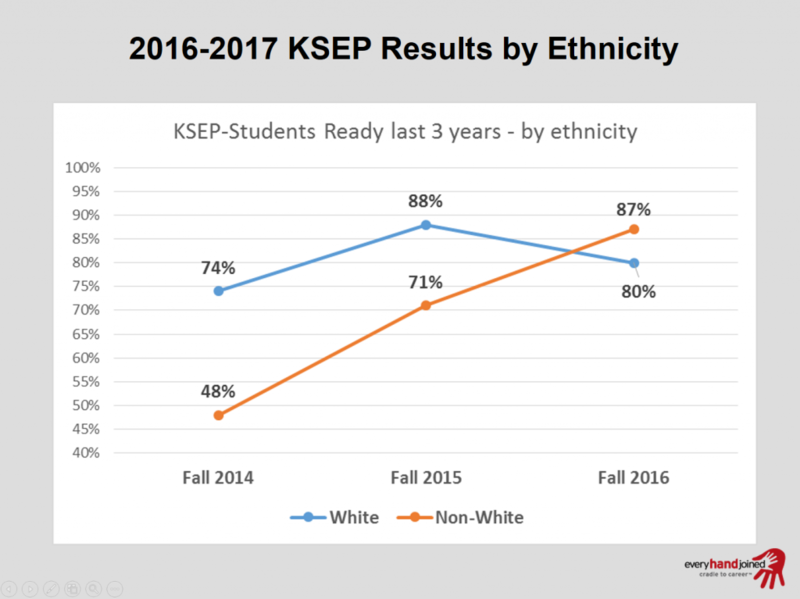 The Kindergarten Student Entrance Profile (KSEP) revealed that about one in five Red Wing children (19 percent) were not ready. The data confirmed that students who attended a formal preschool program in Red Wing were significantly more likely to be ready for kindergarten than those who did not. 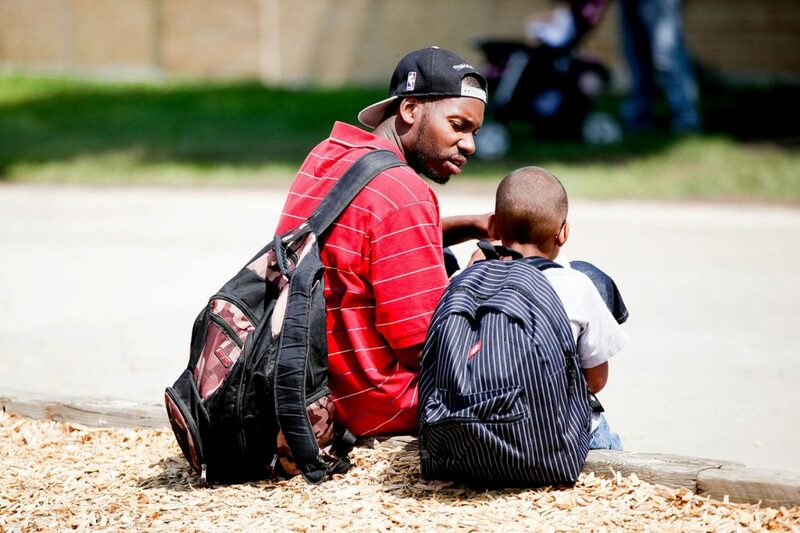 It also showed that students of color and students from low-income families were roughly 25 percent and 20 percent less likely than their peers to be kindergarten-ready, respectively. Digging deeper into the research, the network discovered that the biggest deficiency among local children entering kindergarten was in the area of social and emotional skills. “What we have found with the [KSEP] tool is that a majority of kids need social and emotional growth so they are ready to be comfortable and thrive in a classroom situation and work with others,” said Deanna Voth, the Every Hand Joined staff member working with the Early Childhood Network. Prahl, who is a member of the network, said she knows from experience how important it is for children to have these skills. “Being emotionally ready to start kindergarten makes a huge difference,” she said. Armed with their local data, members of the network developed a number of strategies and activities aimed at boosting readiness among Red Wing’s kids. A key focus of their work: providing early care providers with information, training and other support to help them foster each child’s social and emotional development. For example, Every Hand Joined launched a 16-hour training program for early care providers in spring 2016; the training repeated in 2017. The curriculum is based on a research-based “pyramid model” for improving social and emotional outcomes for young children. Training sessions are held on two Saturdays with homework in between. “[The training] drills down to how you set up a learning environment for children, how you talk and interact with them and how you support their social and emotional growth,” Voth explained. “The best thing about it is we’re all now on the same page about how best to help these children develop those early skills they need,” Niehus said. Every Hand Joined also supported early care providers in the community to increase their ratings on a star-based system that Minnesota has adopted to provide parents with better information and guidance in selecting quality programs for their children. 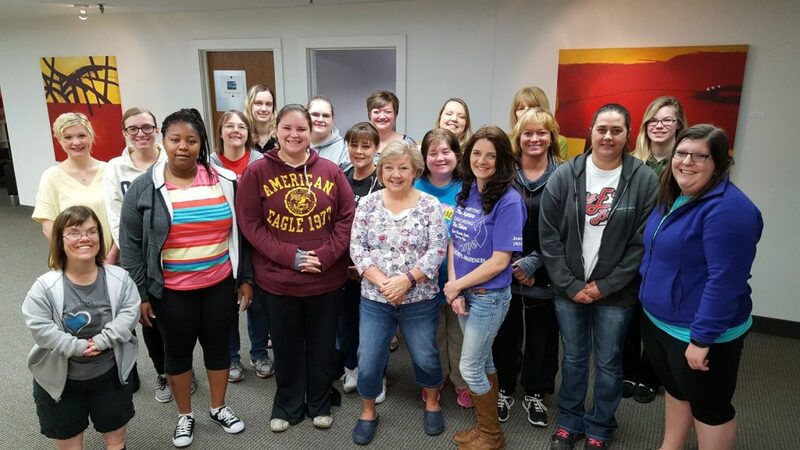 When an early care provider volunteers to participate in the state’s Parent Aware program, Every Hand Joined offers guidance and recommendations for the provider on how to improve program quality. In other activities, Every Hand Joined offered additional support to help staff at local preschools and early care programs as they encountered children who needed special attention. This work was an expansion of the school district’s Student Assistance Team, which offers similar support for K-12 educators. As part of the expansion, Every Hand Joined hired a coach to provide early care programs and preschools with guidance and evidence-based training in how best to address difficult social and emotional behaviors among children. “Having that coach in place really helped. Providers now say they are more comfortable working with these children,” said Voth. Every Hand Joined also helped institute a new process aimed at balancing kindergarten classrooms so they include children of varying skill levels and needs. Each year, early care providers and preschools provide the school with survey information about students entering kindergarten. Sunnyside Elementary School Principal Jeremy Sorenson then uses this information to create classroom placements. “That process has been a big help in making sure those kindergarten classes are well balanced so that everyone can have equal access to quality instruction,” Sorenson said. Another program Every Hand Joined expanded in its efforts to help ensure that more kids are ready to learn is Kindergarten Boot Camp. The Red Wing school district ran the summer program for several years to help ease the transition to kindergarten for children who didn’t have any preschool experience. Over the last three years, Every Hand Joined worked with the district to expand the program to all incoming kindergartners. According to Voth, the expansion was based on anecdotal evidence from teachers indicating that children who participate in the summer program arrive at school more comfortable with their surroundings on day one of kindergarten. 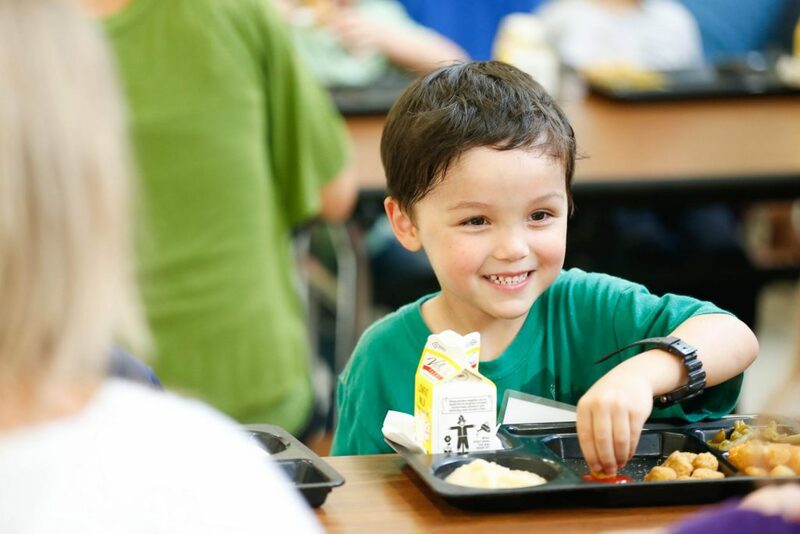 Now, when families register their child for kindergarten, they also sign up for the August boot camp, which brings them to the elementary school they will attend for four days of fun, play and learning. “They come in and learn about lunch lines and figure out where the bathrooms are and where the library is, and then the parents come on the last day and the kids show them around the building,” Voth said. Attendance at Kindergarten Boot Camp has surged from 60 children in 2012 to 158 last year (out of an incoming kindergarten class of 180 or so). “I have seen a tremendous difference in children coming in and feeling confident and safe from the first day of school because of boot camp,” Prahl said. Participants in the network credit the boot camp and other activities with the remarkable, almost 40-percentage-point gain in kindergarten readiness among Red Wing’s students of color, who make up a quarter of the overall kindergarten population in the city. 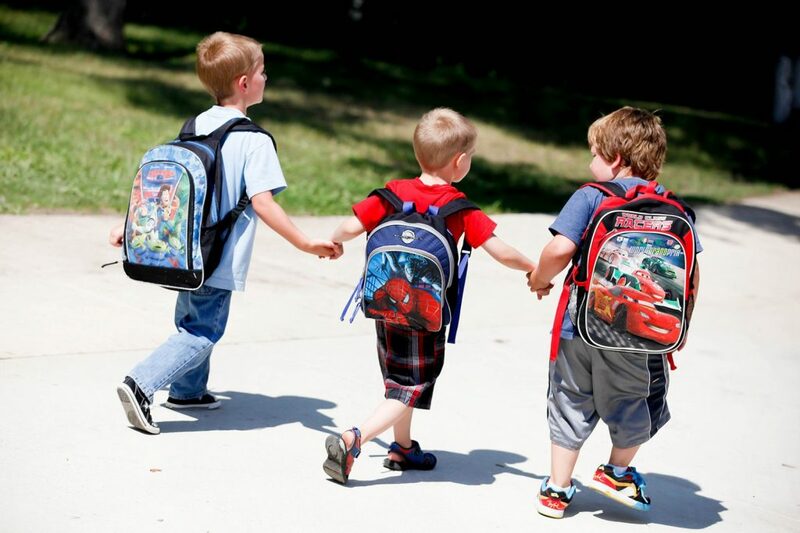 Readiness rates for those who do not attend preschool also have risen, from 45 percent to 60 percent. Despite these improvements, overall levels of readiness still aren’t where the community and Every Hand Joined want them to be. For example, readiness levels for white students have held to a range of 70 to 80 percent. To keep up the momentum for change, Every Hand Joined recently commissioned a St. Paul research firm to interview 30 local families with young children who had entered kindergarten. The survey focused on the challenges facing young parents in ensuring that their kids are ready for kindergarten and what kinds of additional support they might need. According to Voth, Every Hand Joined hopes to turn the survey data into actionable strategies for supporting young families. Sunnyside Elementary School Principal Jeremy Sorenson said he expects to see continuing improvement in kindergarten readiness in Red Wing the years ahead. What changed in Red Wing, Minnesota? Enrollment in the school district’s Kindergarten Boot Camp has surged from 60 children in 2012 to 158 in 2016. Kindergarten readiness among students of color jumped from 48 percent in the fall 2014 to 87 percent in fall 2016. Readiness rates for children who do not attend preschool also have risen, from 45 percent to 60 percent. Go where the data take you. The network convened by Every Hand Joined to work on kindergarten readiness focused on increasing social and emotional skills because that’s where the data showed clear deficiencies. Find evidence-based solutions. At every step of the way, Every Hand Joined and its local partners have turned to proven, evidence-based strategies for improving readiness, starting with the “pyramid model” for improving social and emotional outcomes for kids. Expand and build on what works. It’s not always about launching new programs. The Red Wing partners identified existing programs that were doing good things (like Kindergarten Boot Camp and the school district’s Student Assistance Teams) and invested to expand their scale and reach. Engage all allies. True to its name, Every Hand Joined is helping all providers of early care become part of the solution by providing training and a wealth of other support. Every Hand Joined is a partnership of Red Wing businesses, nonprofits, city and county government, schools, foundations, and parents who convened in 2012 to address an alarming trend in the community: young people increasingly are unprepared for the 21st-century economy that is demanding more from them. Every Hand Joined has established five goals focused on the academic, social and emotional needs of young people from cradle to career. Collaborative networks are working on strategies to achieve each of the goals.